A successful garden depends on good soil. Most soils are predominantly clay, silt or sand; rarely is a backyard soil loamy and teeming with the requisite microbes and nutrients necessary for gardening. Healthy soil consists of a mix of natural, compostable elements and soil types, along with a naturally occurring community of microorganisms including insects, fungus and bacteria. You needn't be an agricultural specialist, though, to create a healthy soil environment for your garden plants. Break up the soil in the area in which you intend to plant your garden. Use a garden tiller to break up the surface and then use a shovel to dig down and turn the top layer of soil. This aerates the existing soil and makes it easier to integrate the amendments. Water the broken-up soil and leave it to dry overnight. The soil should be slightly moist the next day. Use a shovel or pick and loosen the soil again. Measure the length and width of your garden area and multiply those two figures and multiply that by 1/2. The result is cubic feet of the area you need to fill with compost. You should have enough compost to fill the garden area with a 6-inch layer of compost. If your garden measures 6 by 6 feet, your garden area is 36 square feet. Multiply 36 by .5 and the result is 18 cubic feet, so you'll need 18 cubic feet of organic composting material. Work the compost into the loosened soil and rake the surface smooth. Water the area lightly and allow it to rest for 24 hours. Mark out your garden plan, indicating where you intend to plant either seeds or seedlings. Add the fertilizer of your choice only to those places in which you intend a plant to grow. There's no need to fertilize the entire space. Allow the garden to rest for 24 hours after adding fertilizer. Add a layer of mulch to your garden soil after planting. 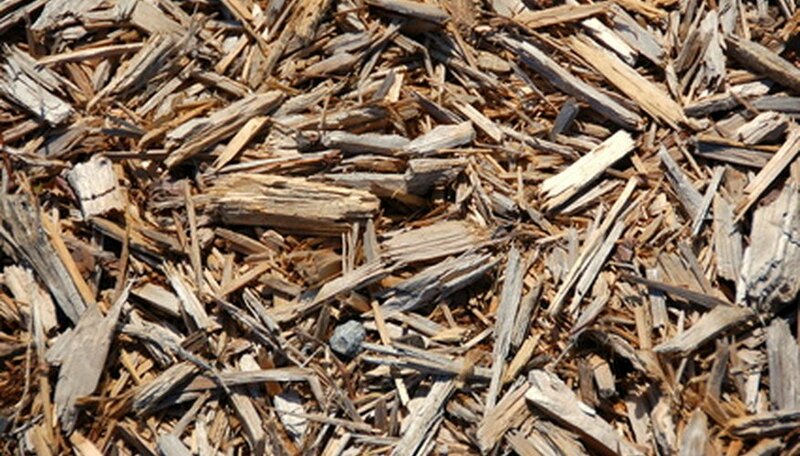 Select organic mulch that will break down and feed the soil. Water your garden regularly. Water is as essential to the soil as it is to the plants. Without regular watering, the microbes in the soil will die and the nutrients will no longer be replenished. Work in a 2-inch layer of compost to your garden soil before you plant each season. As your garden plants die back, add them to your compost heap, along with kitchen scraps from vegetable and fruit matter. You will then have compost available to spread on your garden to maintain a healthy soil. Start breaking ground on your garden in early spring, while the ground is still cool from the winter. The soil should be moist from the winter snows.